Locate a Speaker for Your Club's Upcoming Meeting. There is no charge for this service. 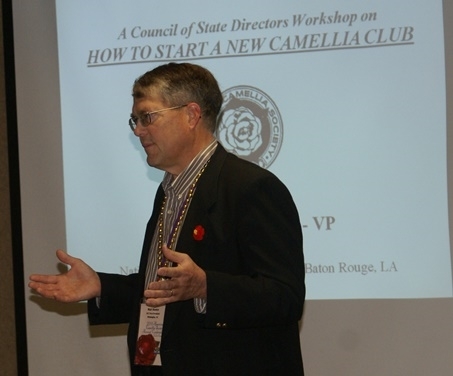 The objective of this page is to link up speakers who can talk about camellias with clubs who need speakers. Hopefully this will help both the speakers and the clubs to achieve their common objectives. To do this we need to develop a list of speakers who want to be put on the "Speakers Bureau" of the ACS website. The speakers can talk for free or charge a speaking fee; there is NO cost to be on the ACS website. The registration form is a MS Word document that can be downloaded, saved on your computer, and edited. Please return the completed form as an email attachment to ask@americancamellias.org. Download a Speaker's Bureau Registration Form.